In a just published study (Kakuda), high-intensity, low-frequency pulsed electromagnetic fields were used in patients’ stroke rehabilitation. The patients had their strokes within one year to nine a half years before treatment with the PEMFs. During a 15 day elective hospitalization set up specifically for this program, each patient received 22 treatment sessions of 20-min low-frequency PEMF and 120-min intensive OT daily. The PEMF of 1 Hz was applied to the side of the head opposite the area of the stroke, i.e. on the same side as the paralysis. The intensive OT, consisting of 60-min one-to-one training and 60-min self-exercise, was provided after the application of low-frequency PEMF, using standardized protocols and objective measures for the impact of treatment. Improvements were persistently seen up to 4 weeks after discharge in 79 of the 204 studied patients. Longer-term assessments were not conducted. Statistical analysis found no significant relationship between baseline parameters and indexes of improvement in motor function. The authors concluded that the 15-day inpatient PEMF treatment plus OT protocol is a safe, feasible, and clinically useful neurorehabilitative intervention for post-stroke patients with upper limb paralysis. The response to the treatment was not influenced by age or time after stroke onset. The major drawback of this study was that there was no comparison group using sham PEMF treatment. PEMFs are expected to influence nerve cell firing/function of selected brain areas. It appears to be that low-frequency ≤ 1 Hz suppresses while high-frequency ≥ 5 Hz activates local neural activities. There was the question of which side of the brain to stimulate, the side with the lesion or the opposite side. Several randomized controlled trials have confirmed that low-frequency PEMF applied to the brain hemisphere opposite to the side of damage (non-lesional) can significantly improve motor function of the affected upper limb in post-stroke patients. It is speculated that exposure to the non-lesional hemisphere reduces possibly protective nerve function inhibition by the non-lesional hemisphere towards the lesional hemisphere, leading to facilitation of beneficial functional reorganization in the lesional hemisphere. Intensive occupational therapy (OT), especially using constraint-induced movement therapy (CIMT) for upper limb hemiparesis also appears to activate areas around the stroke lesion in chronic stroke patients. In chronic stroke, CIMT is currently considered to be most useful. In another study using high-frequency PEMF with CIMT over the lesional hemisphere daily for two weeks, compared to patients treated with CIMT only, improvement of motor function was not significantly different. To be in the study the patients had to meet the following criteria: 1) ability, at least subjectively, to flex all the fingers of the affected upper limb in full range of motion. 2) Age between 18-90 years. 3) Time after the stroke more than 12 months. 4) Only a single-sided stroke. 5) No cognitive impairment with a pretreatment Mini Mental State Examination score of more than 26. 6) Being in a plateau state for at least 3 months. 7) No history of seizure within preceding year. 9) No documented epileptic discharge on pretreatment electroencephalogram. 10) No current use of antiepileptic medications for the prevention of seizure. 11) No pathological conditions known to be contraindications for PEMF. In the current study, follow-up evaluation after discharge showed persistent improvement of motor function of the affected upper limb up to four weeks after treatment ended. The duration of improvement of motor function of the affected upper limb appears to be relatively short after a single session of low-frequency PEMF. A different study reported that the improvement induced by application of low-frequency PEMF to the non-lesional hemisphere daily for five consecutive days was maintained for two weeks after intervention. In yet another study, the improvement of motor function of the affected upper limb in patients who received CIMT was also maintained up to several months after the intervention. Whether there are longer-term effects using each of the two interventions remains unknown for now. What is also not known is whether continued use of PEMFs in the home setting long-term may continue to show improvements. This may be expected to be true given that the brain tends to repair very slowly, even given appropriate stimuli. This study also showed no significant relationship between any of the six tested baseline parameters and the response to the intervention. The intervention can produce beneficial functional reorganization even in elderly patients and in those whose strokes were years earlier. Since this study did not include acute/subacute stroke patients within one year after onset, it remains unknown if earlier application of the protocol during the acute/subacute phase of stroke can produce more functional improvement than those seen in our patients. It has been reported that beneficial functional reorganization is higher in acute/subacute phase than in later phases of stroke. While more research clearly needs to be done, this study is encouraging in showing that the combination of higher intensity PEMF and occupational therapy improves function, even in patients who had their strokes over a year earlier, and in some cases up to nine years earlier. Additionally, this study was performed in a hospital setting for a limited period of time using very expensive rTMS PEMF, with limited availability equipment. While not proven, it may not be unreasonable to expect that a home-based, high intensity PEMF system may produce similar results. A combination of low and high frequencies may be even better, some reducing nerve cell firing, as would be desirable with spasticity, and others increasing nerve cell firing, where there is a reduction in neuron function. It is generally axiomatic in medicine that little gain in function is likely to happen in these patients after the first 3 to 6 months following a stroke, with conventional PT/OT alone. So any therapeutic approach that is not likely be toxic or invasive, such as higher intensity PEMF , has a good chance of being able to provide benefit, and may well be worth considering. Another just recently published study (Avenanti) of higher intensity, low frequency PEMF for stroke, investigated the long-term behavioral and neurophysiologic effects of combined higher intensity PEMF and physical therapy (PT) in chronic stroke patients with mild motor disabilities more than 6 months poststroke. In this study, thirty patients were enrolled in a double-blind, randomized, single-center clinical trial. They each received 10 daily sessions of 1 Hz higher intensity PEMF over the intact, that is nonaffected, motor cortex, with either real (R) or sham (S) approaches, administered either immedi­ately before or after PT. Outcome measures included dexterity, force, interhemispheric inhibition, and corticospinal excitability and they were assessed for 3 months after the end of treatment. The researchers found that treatment induced progressive rebalancing of excitability in the 2 brain hemispheres and a reduc­tion of inter-hemispheric inhibition in the R groups. PT produced improvements in all groups. The aspects of functions that were trained showed only small and transitory improvements in the S patients. 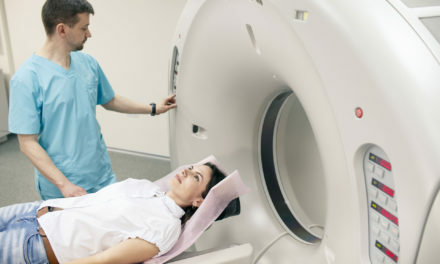 The R group had greater behavioral and neurophysiologic improvements especially in the group re­ceiving R treatment before PT (R-PT), with robust and stable improvements. The post PT-R group showed a slight decline in their improvement over time. They concluded that priming PT with inhibitory higher intensity PEMF before the PT (in the hemisphere opposite to the stroke lesion) is optimal to boost brain plasticity related to the functions trained with PT and rebalance motor excitability and suggests that higher intensity PEMF is a valid and promising approach for chronic stroke patients with mild motor impairment. These patients were enrolled as outpatients in a Neurorehabilitation clinic. They were included if they had a unilateral stroke, greater than six months after the first ever stroke, and had mild upper limb motor deficit. Anyone with a seizure disorder was excluded. 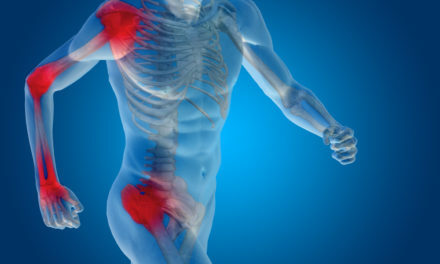 The higher intensity PEMF was applied immediately before or after PT. There were eight patients in each experimental group with a total of 14 patients in the sham treatment arm. Treatment lasted for 10 days with two PEMF sessions per day, of 25 min. each, and 45 min. of standard task oriented upper limb exercises. The PEMF was applied to the motor cortex. The sham was the same activated coil applied perpendicularly to the scalp so that no current was induced in the brain. To check stability, two pretreatment evaluations were performed two weeks and one day before starting treatment. Post treatment evaluations were performed at 1, 7, 14, 30, and 90 days post treatment. Neural excitability of both hemispheres was assessed at baseline, pretreatment, day six [pre treatment] and at each of the post treatment follow-ups. The exciting aspect of this study was that they actually checked for cortical excitability. Chronic stroke patients typically show less excitability on the affected side of the brain compared to the opposite side of the brain. In a normal non-stroke brain there is a cross communication between the sides of the brain where each side balances the other with inhibition and stimulation. Because of the damage to the side affected by the stroke the opposite side becomes uninhibited and can irritate the affected side, creating spasticity in the affected extremity. Before the study, the researchers believed that doing higher intensity PEMF before PT could potentially prime functional neural networks for the PT intervention to work better, leading to superior outcomes. This study provided evidence that higher intensity PEMF stimulation induces reduction of interhemispheric inhibition from the intact side of the brain to the affected side, long-term potentiation of excitability of the affected side leading to improved and obvious functional improvements, in particular when PT is preceded by the higher intensity PEMF. One to three months after treatment the group receiving PT first started to show a decline in performance and excitability of the affected side. In the group receiving higher intensity PEMF first, the outcomes remained stable over time by boosting brain plasticity caused by use of the brain and the affected extremity, mainly by stabilizing the physical learning processes of the brain. They found evidence of a daily, cumulative lowering of excitability in the intact hemisphere. This was paralleled by a strong cumulative increase in the excitability of the affected hemisphere. This study provides direct neurophysiologic evidence that 10 days is more effective than five days of higher intensity PEMF treatment. The sham PEMF stimulation group showed only a modest improvement lasting only a few weeks with no significant changes in excitability. This is not surprising since the PT was relatively short, patients were all chronic poststroke, and all had already received cycles of rehabilitation before. Even though it is known that PT this late after stroke is less effective, this study indicates that brain stimulation may overcome this limitation. The practical importance of this randomized controlled trial, is that, even post stroke, at least up to six months afterward the stroke, the use of higher intensity PEMFs and PT may produce significant improvements in function, that was thought to be lost permanently. 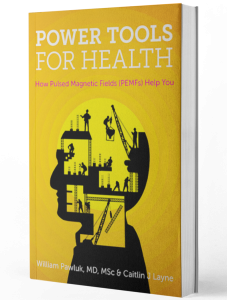 The questions that ultimately remain is whether similar benefits can be seen more than six months after the stroke and whether various higher intensity PEMF systems may produce similar results. Given the lack of toxicity for PEMF therapies, below the level of inducing seizures or contractions, post stroke patients may find significant benefit from these therapies. 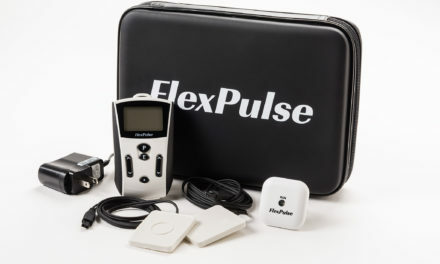 Higher intensity PEMF therapy systems that could be considered for stroke management, in the light of the studies above, would include the PEMF 120, Parmeds Super or Pro System, MAS Special Multi+, and SomaPulse. The PEMF-120 would be expected to provide the better results, because of their frequencies and intensities. The Parmeds and MAS will have more whole-body benefits. Kakuda W, Abo M, Shimizu M, Sasanuma J, Okamoto T, Yokoi A, Taguchi K, Mitani S, Harashima H, Urushidani N, Urashima M. A multi-center study on low-frequency PEMF combined with intensive occupational therapy for upper limb hemiparesis in post-stroke patients. J Neuroeng Rehabil. 2012 Jan 20;9(1):4. Avenanti A, Coccia M, Ladavas E, Provinciali L, Ceravolo MG. Low-frequency rTMS promotes use-dependent motor plasticity in chronic stroke: A randomized trial. Neurology. 2012 Jan 24;78(4):256-64.